Caiaphas, who was high priest at that time, said, "You don't know what you're talking about! You don't realize that it's better for you that one man should die for the people than for the whole nation to be destroyed." 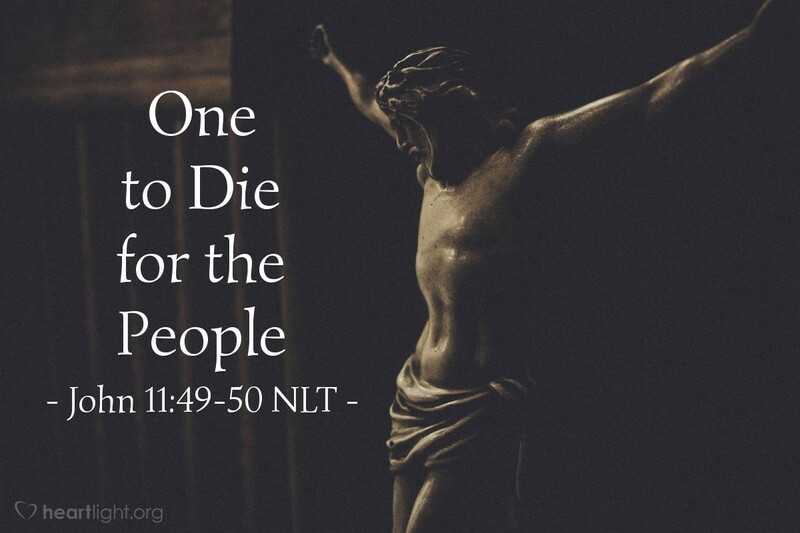 Jesus came to live as God among us and to die for our sins to bring us to God. We are saved from destruction because of grace, not because of some religious leader's decision. God's plan was for a perfect sacrifice to be offered, a sacrifice that would completely take away our sin. Jesus is our atoning sacrifice who died so that we can live. What incredible love! What overwhelming grace! LORD God Almighty, thank you for your incredible mercy and grace demonstrated through the sacrifice of your Son! Thank you, Jesus, for bearing my sin and shame so that I could receive your salvation. May my life be a worthy response of praise to all that you have done and all that you will do to bless me and make me yours. Amen. Our brothers and sisters in many places in the Middle East, Africa, Indonesia, and Asia are having to make the ultimate sacrifice for their faith. They have been servants to the end. Some have been crucified. Some have seen their children beheaded before they themselves were martyred. Many others have had their earthly livelihoods destroyed. Please take time to go to Voice of the Martyrs and learn more about their plight and pray about ways you can help. Thank you!